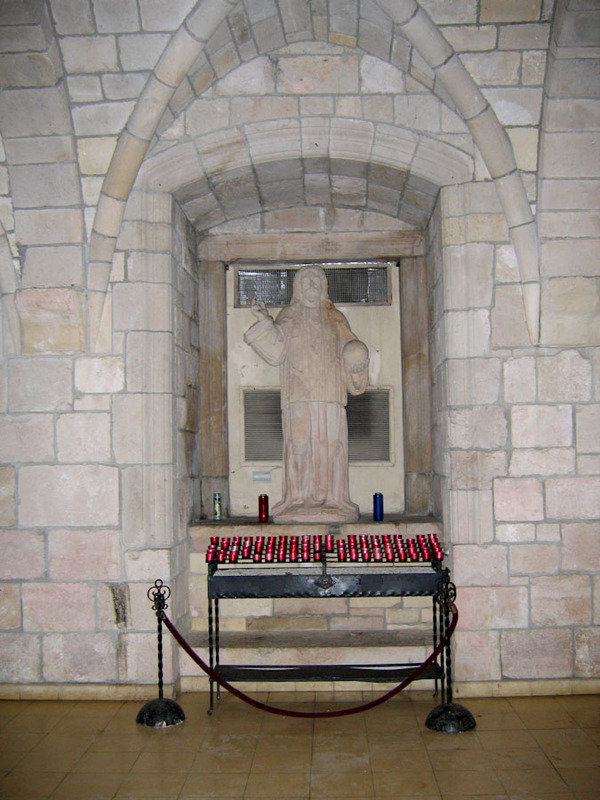 Description: Christ the King Statue surrounded by prayer candles in the chapter house. This statue was sculpted in the 12th century possibly by one of the ancient monastery's own monks. The recess in the wall was originally used to hold holy water. TIFF File: A high resolution TIFF of Christ the King Statue (28.9 Mb) is available for download. This is a very large file suitable for printing. For most on-screen purposes, you should use the image displayed on this page instead of this TIFF.